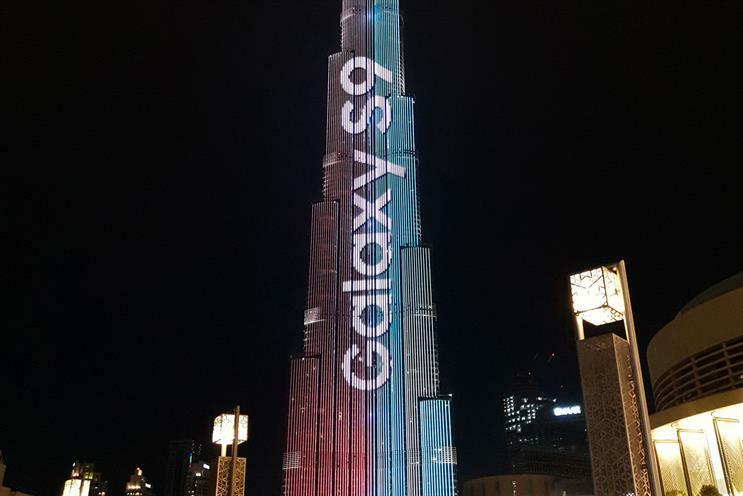 Samsung took over Dubai's Burj Khalifa façade with LED lights and an event featuring a confetti booth to promote its Galaxy S9 and S9+ phones. The company became the first tech brand to be represented on the building in an LED display. There was also a chance for consumers to experience the different features of the phones. The activation included making personalised augmented reality emojis, testing out the low-light function of the phone’s camera in a mirrored room and make use of the "super slow-mo video" in a confetti booth. The experience was part of the brand’s "Do what you can’t" campaign. YH Lee, global chief marketing officer for Samsung Electronics, said: "Staying true to our heritage of relentless innovation, this campaign is another example of how Samsung is continuously pushing the boundaries of what’s possible – just like we do with our products and services. "Through the spectacular Burj Khalifa ‘Light Up’ show, multi-sensory engagement experiences, and the new Galaxy S9 and S9+, we are tapping in to the way consumers communicate, engage and experience the world today."